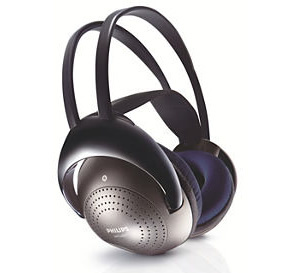 Headphones (or "head-phones" in the early days of telephony and radio) are a pair of small loudspeakers that are designed to be held in place close to a user's ears. They are also known as earspeakers, earphones or, colloquially, cans. The alternate in-ear versions are known as earbuds or earphones. In the context of telecommunication, a headset is a combination of headphone and microphone. Headphones either have wires for connection to a signal source such as an audio amplifier, radio, CD player, portable media player, mobile phone, electronic musical instrument, or have a wireless device, which is used to pick up signal without using a cable.